Ultra-durable dry protection with easy viewing. Thanks to its transparent materials, it's easy to save time and energy by swiftly identifying contents in our waterproof Discovery View dry bag. The PurgeAir™ valve quickly vents trapped air for easy closing and packing, while the oval bottom helps keep the bag from rolling around, making the View a great option for any paddling trip. 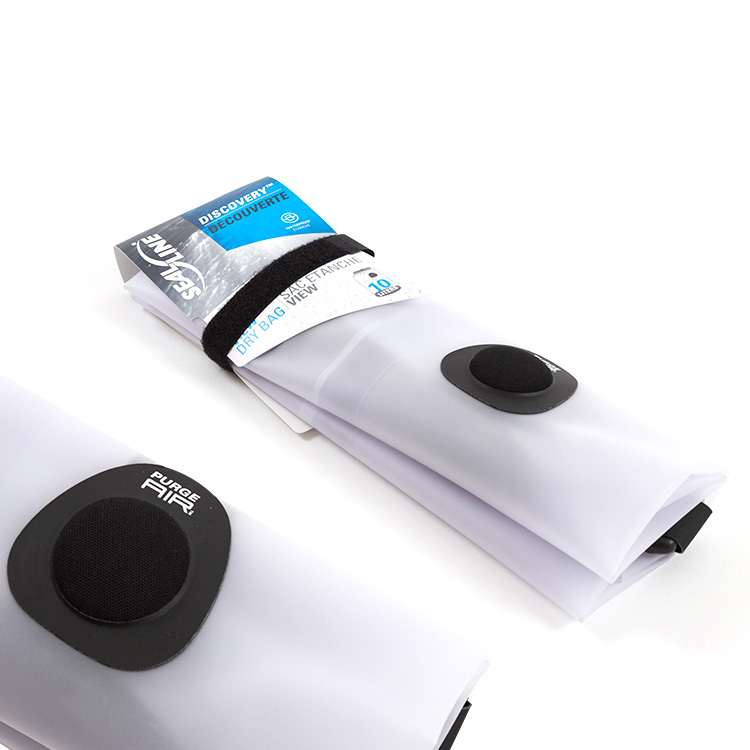 - PurgeAir™-equipped: Our unique and waterproof PurgeAir valve vents trapped air, helping the dry bag compress further after being sealed, and is both more durable and more reliably waterproof than waterproof/breathable fabric membranes. - See inside: Waterproof translucent materials allow contents to be easily identified without having to open the bag, simplifying packing and finding what you're looking for. - Color-coded oval bottom: Color-coding distinguishes between bags; stable shape won't easily roll around and is easy to store, stack, and pack. - Durably constructed: Fully welded seams result in stronger and more durably waterproof construction compared to sewn-and-taped seams. - Tight, simple sealing: Updated DrySeal™ roll-top closure makes it easier and more intuitive to achieve an optimal seal. - PVC-Free: Materials have a reduced environmental impact over vinyl-coated materials.